Mark was astonished. This was not the service he had come to expect from a postman. He was truly pleasantly surprised and delighted by Fred's approach and manner. Mark became interested and asked Fred more about his job and how he approached it. Fred's answers inspired him to develop motivational seminars and a bestselling book (The Fred Factor) promoting Fred's attitude and approach to life. In a nutshell, the Fred philosophy is to realise and practise that everyone can make a difference; success is built on good relationships; you must continually create value for others and it doesn't have to cost anything; you can reinvent yourself whenever you want. In the past few months I have had the pleasure to meet two 'Fred's from the ACR industry. The first was a service engineer who I bumped into by chance when I walked into a client's refrigeration plant room on a site in Birmingham. The young engineer was knowledgeable, enthusiastic, helpful and a pleasure to speak to. The second was a food factory engineer who managed the refrigeration plant along with all the other services required in a modern food production environment. Although not a specialist refrigeration engineer, he went out of his way to provide the information I required and to answer all my questions and more. Both of these engineers embodied excellent customer service qualities described in the 'Fred Factor'. We should never forget that although highly technical by nature, the ACR industry is a still a service industry with customer service excellence being a key to business success. If you think that is a cliché, imagine how long a company can survive that ignores this in the competitive market place we find ourselves in today. Customers do have a choice and they will go to where they perceive they most consistently get what pleases and impresses them. The 'Fred' philosophy is built on timeless values like personal responsibility, authentic relationships, and respect for others. It is in essence, a mind-set that looks for and seizes opportunities to turn the ordinary into the extraordinary. The ACR industry has individuals who go beyond the ordinary and create extraordinary experiences for their clients. These are not only service engineers; they are from all business fields, from sales through to administrators. Their attitude to customer service should be recognised by this industry in the same way as technical excellence is. Normal is overrated and has never been a term that should be applied to our industry. We should have a 'Fred' Award, although I am sure that we can give it a more appropriate name from one of the many fine examples from our own industry. The reward for working hard is usually just more hard work. Nothing kills incentive faster than consistently being expected to take on extra work as a 'reward' for being capable. Particularly when others are given less work for being incapable. Performance must be recognised, respected and rewarded. It is the only way I was ever able to retain my best performers. I am 100% behind this idea for an award for excellent customer service. The concepts behind this blog should also encourage employers to rethink how they reward and recognise their star performers. In the fridge game, a star that is under appreciated will easily find another employer. This article is good but I think it forgets the most important morale-killing aspect of corporate behaviour: stealing all the glory for the management. From what I have seen of industry awards over the years they are basically excuses to monopolise praise for the company management team and corporate sponsors. I wish you well with this idea but can't see it happening any time soon. Thank you for sharing this interesting if brief article. One thing that you didn't mention is ego.That is something that engineering and customer service have in common and it probably why we as ab industry are better that customer service than we generally give ourselves credit for. Because when it comes to both engineering and to customer service it is wise to leave our ego at the door. Being humble but effective and efficient are the best engineering traits. Just listen to your gut instinct. That will soon tell you if you are providing good customer service or not. I think deep down we already know if we are or aren't. Even the best customer service won't make up for inadequate technical refrigeration knowledge. This article sends out the wrong message. What we need today is increased focus on gaining engineering skills. We need to celebrate technical excellence if we are to further the standing of the engineering profession and particularly the ACR industry. Quickly gained F-Gas qualifications do not make an ACR engineer. Glossing over this fact by focusing on and rewarding customer service will lead to a shallow-skilled industry without technical substance. Fix engineering problems whilst remaining polite and professional. That is enough without going overboard on excellent customer service. 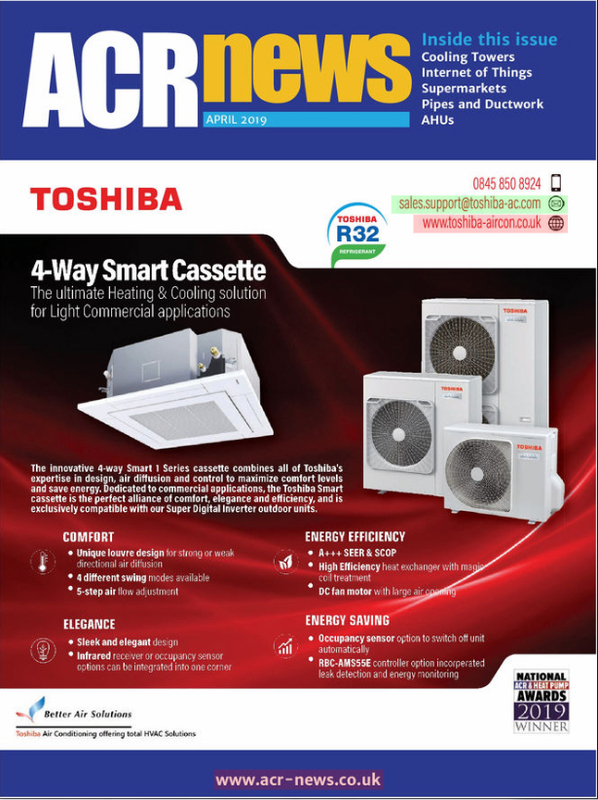 The technical solution and engineering knowledge backed up by experience must always be the aim of anyone working refrigeration and air-conditioning. The key to excellent customer service is Emotional Intelligence; being mindful & being yourself. Authenticity. Many engineers that I know lack EI so need to be trained as they will be focused on technical matters rather than the human aspects. The ACR News Awards are the best in the industry. The celebrate what is the best aspect of this industry- the people. It is astonishing that the others still follow the same dull outdated format which is nothing more than a commercial gravy train for organisations to promote their products or services. I can't praise these awards enough. If there is any doubt as to their credibility, just look at the list of winners for last year. All genuine industry people doing extraordinary things. I see that this article has a share of mixed praise and criticism but for me it is written by an extraordinary person that is passionate about our industry, so well done Steve Gill. When will we see more blogs from you? In reply to Pete: if you sell on price you will always compete on price. If all your customers are only buying from you because you are the cheapest, I suspect that you probably are and get paid what you deserve. Sorry to be so blunt but that's how it is. Good article. Makes one think and smacks of authenticity. Really good and inspiring article for all, especially the new generation who don't have to think 'this is the way we have always done it'. Wow. I totally understand what Steve is talking about. It is so rare for someone to write about their passion for this industry and for doing a doing the best we can. When we are passionate about what we do we begin to inspire others to be the same. Consequently we work better in our jobs and find them more fulfilling because we get that we are making a difference in the world, and that world starts with those we are in contact with, namely our customers and colleagues. Amazingly fresh article. Wrong, wrong, wrong! Anyone that thinks that clients of this industry respect anything other than lowest price is mistaken. Technical expertise, customer service, energy efficiency, trained and skilled workforce: all mean nothing as the customer shops around for a lower price and lowest capital cost no matter what the outcome. Look at all those clowns still installing R404A just because the equipment cost is lowest and the labour is cheaper than payer for a longer term fix. As for an award for customer service, well really? Who is going to nominate them; the customers? I think not. They do two hoots about helping anyone in this industry. The only people that will be nominated will have do so by themselves or by their employers which really defeats the spirit of the award and just highlights how low this industry has sunk in the esteem of its customer base. We serve customers who don't really care and would rather pay less if they can. There is no customer loyalty and don't expect they to sing out praises. Great to see that ACR News have been listening. Their awards this year have a customer Service award and an unsung hero award. Someone somewhere has taken note of this blog. The ACR industry is so taken for granted it is unreal. The hot weather comes and we are expected to work miracles at the drop of a hat for clients who spend nothing with us the rest of the year. Yes we can suggest that they service their systems in advance of the summer, yes we can advise that their system need replacing, and yes, we can predict and anticipate their needs. But still we get all the panic, emergency calls during the holiday season. We as an industry provide customer service second to none. But when it comes to appreciating what we do or how we do it, or valuing it at all, then we are bottom of the list. I couldn't agree more with Mr Gill that we should make more of what we do so well. I wouldn't say this is dated at all. I don't know the HVR Awards but next year is FRIGAIR. The HVR Awards have a 'Customer Service Person of the Year' Award so I think this post is a little out of date. Good read but now dated as events have overtaken it, or maybe be influenced by it. Inspiring story. A good reminder that we don't need to have special qualifications or training to excel at customer service. We just to care about our clients and think how we would like to be treated. Very good read Steve. I like to think that we are appreciated by our customers but I think more realistically that we are taken for granted until something goes wrong. Then we are either the heroes for fixing it and getting them out of the hole or the incompetent idiot that caused it. There doesn't seem to be anything in between. As for appreciation by our employers, I think that pretty much follows the same pattern. Most of the time, if not all the time they have little appreciation of what we do or even care what we do as long as they don't hear any complaints from customers and we continue to make a profit for them. We are the invisible people working in an invisible industry. So some recognition for what we do, and how well we do it, would be a giant step forward. It says 'forget customer service, customer empathy is better'. I think you would agree. I wish I knew what it was like to absolutely LOVE what I do to the extent that Fred the postman obviously does. What I do isn't bad, but it isn't a passion. I do what I have to do and I confess I feel the urge or need to do more. I am well paid and my job is comfortable. But if I had my time over again, I would pursue passion over the job. Even at a lower salary. Truth is, there isn't that much satisfaction getting well paid for being mediocre over the length of a career. I can only applaud this article and its intention to celebrate those in the ACR industry that go the extra mile. I am not one of them sadly. I found this post very interesting, but then read the comments. So Steve, keep your feet on the ground and don't let all the praise that is heaped on you here go to your head. You are a success and you must know it, so keep going. If you are like me, you must have found much of this praise more than a little embarrassing and in truth, uncomfortable reading. I agree, excellent customer service is not a formula, it's unique to each. Good article and excellent proposal. I always found satisfaction in a job well done. And that included looking after the customer. An old song says brighten the corner where you are, so be content and prepare for something better. So always do your best and good things will follow. I like this blog. I had a morning reading through a number of Steve's posts. Then spent lunch time reading through the comments here. They are a story in themselves. Very interesting with some very insightful and thought provoking. I retired a few years ago but like to read industry related news to keep up to date. Its stopped raining now so I will pop out and enjoy the afternoon sum before the rain that is forecast later. Good luck with the Fred Award idea! It's not just customer service that's important. Like everything else in life, there's a trade off with other aspects of business and private life. We have to balance between commercial business pressures and also home life. Sure we could all work extra long hours to make our bosses and customers happy, but what about our family and friends? I applaud the any initiative though that recognises and acknowledges that the ACR is a customer centered focused industry and that certain individuals do deserve an award for what they do. There is not enough people acknowledging what we do as individuals. Good blog post Steve. I am intrigued by the success of this post. It is a great article. It made me think. For me, success at customer service, or anything else for that matter, is something you feel when you know you hve reached your potential, ether in career, family, friendship, or just life in general. The story of Fred the postman, and then of the two engineers that Steve encountered made me imagine them as being successful in their own way in their own worlds. So, I can aspire to be like that. But as I said, I am intrigued by the success of this article. It is not particularly well written in my opinion. The editing is awful. There are no headings, its layout is dreadful. It is very unappealing to look at on the page, it looks bland. Quite why so many people have read it and why so many have felt compelled to leave a comment is beyond my comprehension and a mystery. Overall, it is not a bad article, but if anyone can explain its popularity I am listening. One final point, I hadn't made any mental connection between this article and the ACR News Awards. In fact, the awards pre-date this blog by a decade or more. So, why are people giving credit to Steve Gill for something that he clearly had no input into? I am intrigued, but perhaps that is this post's attraction and charm. I will be interested to hear anyone else's thoughts on this. Steve Gill, wonderful article! But isn't it an art rather than a science to put into practise? But hey, nobody said it is easy, or we would have Fred's everywhere and we don't. You are right though, the ACR industry has more than its fair share of superstars if we just acknowledged them! Thanks Steve. People need reminding that they have to own their actions towards customers. Too many just drift through their customer interactions just thinking about getting through it quickly. I tried making sense of many of the comments here but they seem to be talking about other posts or something completely different. Very confusing. But again, cheers for this post. Don't no if this is the right place to say it but I agree with previous comments that the new ACR News Awards are the best in the industry. It rewards the industry in the right way for the right reasons. Not just another sponsor collecting an award. It is the people's awards, run for people in the industry, and judged by the industry. Fantastic. Don't no where the credit lies for this. But if this blog did influence the change that well done Steve. This is an interesting post. Certainly made me think. Also the comments are an even richer source of interesting anecdotes and stories interspersed with congratulatory messages. I can't add any stories or messages, or even clever observations, but I can ask "why are all the UK industry award dinners in England?" Does the UK ACR industry not exist outside of London? The spirit of the Fred Award as I understand it is to recognise those that go the extra mile - well why don't the magazines trying going the extra mile themselves up to Scotland for a change? The ACR News Awards are the best industry awards there are. Period. Very happy to see that Gary Dowsett won at the 2017 ACR News Awards. He thoroughly deserves the recognition for all he has done. Great engineer. As engineers isn't this what our lives and work is all about? Using our talents and skills to help others? Great article! Thanks for the great little lesson. darn that ego thing that gets in the way of being humble and helpful to the customer. Maybe I missed something in this article but it truth I can't see what all the fuss is about. Appears to be an advert to sell Mark Sanborn's book. This is so simple, but incredibly empowering! "..a mind set that looks for and seizes opportunities to turn the ordinary into the extra ordinary"....a veces tenemos que creer y decir que a nosotros mismos ! ! Hi Steve, I voted for the awards this time. It was a new experience to feel part of the judging process. Most of the ones I voted for turned out to be winners so I am happy. I guess they are too. The interactive ACR news Awards are the way to go. They are the future. Steve, how does it feel to have made your mark in history with such an influential blog? I can tell you how it feels to have my opinion valued: it feels great! Congratulations to all the winners on the night. I think I voted for most of you. It was interesting reading their nominations. Congratulations Gary. When industry people vote we get an industry person's result. Yep, I agree with the others. ACR News Awards are the best out there. Recognising industry gems like Celia and Jacky prove it! Steve is right! We have our own Freds who are better than Fred! I didn't attend the event by the way so can't say how the evening went. But I still feel a part of it as I voted. Congratulations to Gary Dowsett. It is about time a proper fridge engineer actual got some recognition. One day this industry will wake up to the fact that it is the Gary's of this world that actually make this industry tick. Not the CEO's in their corporate towers. Well done Gary. We are all proud of you. For the first time ever I have looked for the results of an industry award event with some interest. Chuffed to bits to see Celia and Jacky crowned as winners. Is it just me or do the other categories featuring products and companies now feel out of place? I read that these are awards in transition. But seeing the mix of old style and new style categories side by side really brought it home to me just how little interest I actual have in seeing another AC widget or contractor win an award. The truth is I don't actually care if they win or not. But seeing individuals win; seeing the industry finally wake up to the fact that this industry is made up of people doing extraordinary work is fantastic. I didn't realise it until now but these are the best awards out there. They are the people's awards, voted for by people working in the industry. Celia and Jacky - big congratulations. You and your kind make this industry great day in day out. Brilliant result!